Winter can be wonderful and crisp and full of fun- but truth be told, it can also be downright brutal! Sometimes- you just gotta laugh! 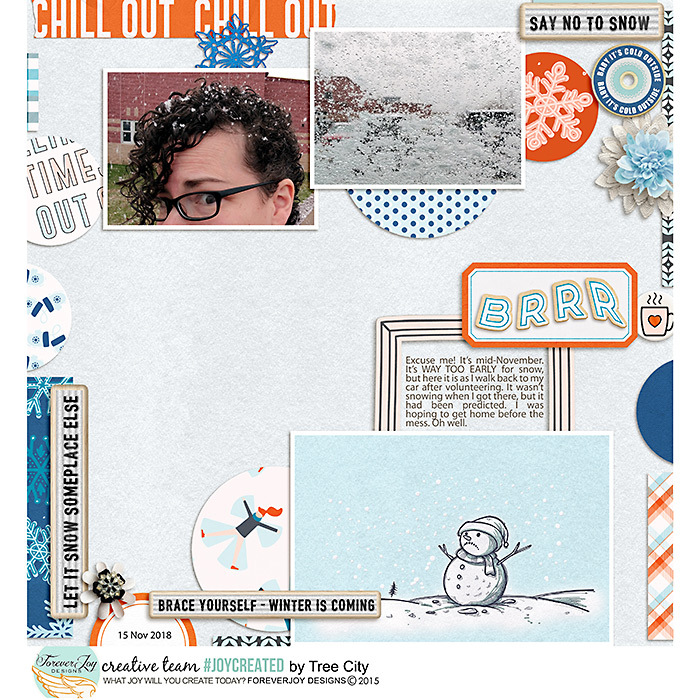 This word art pack was designed as I braved through a cold front and had a hard time feeling the love for my frosted windowpanes! 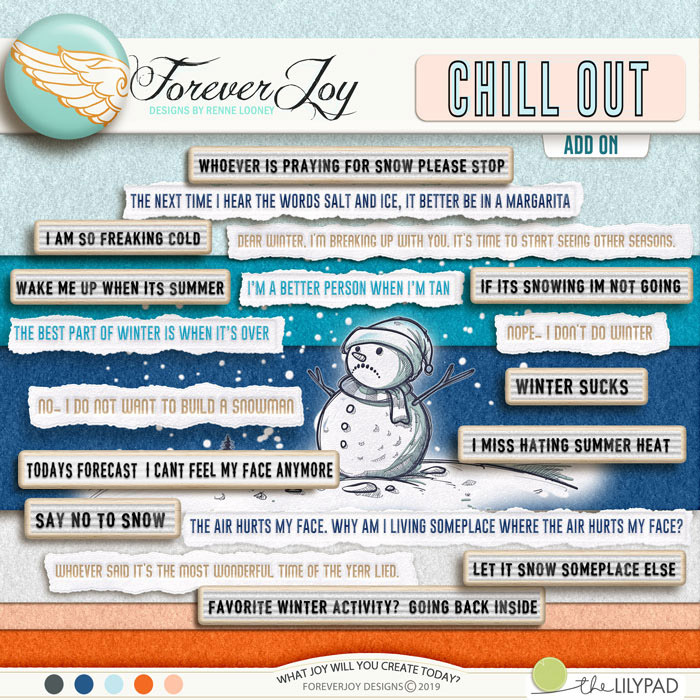 You'll find fun snarky phrases inside- 11 are on word strips that were designed to look like imprints in the snow- and come in both tan and blues and 11 are on white felt boards. 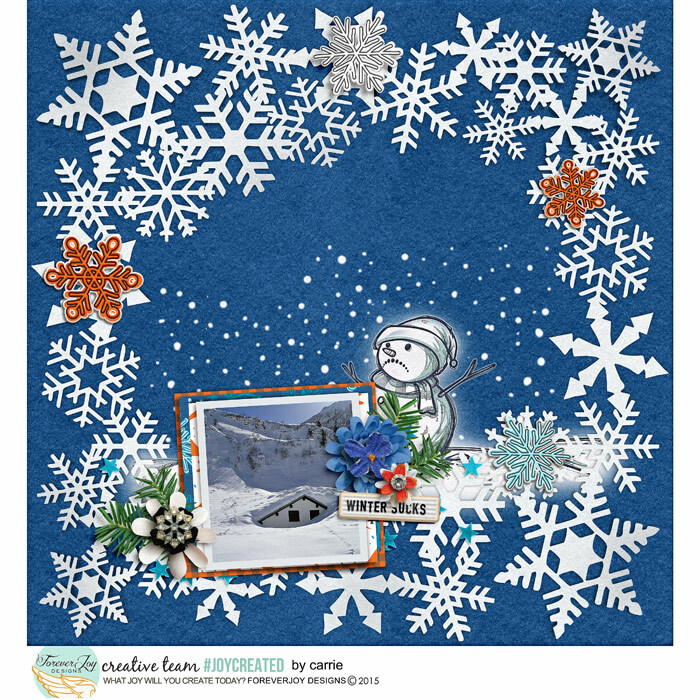 Also insde is a png of a grumpy snowman and 6 felt papers designed to play nicely with the CHILL OUT page kit you see below! 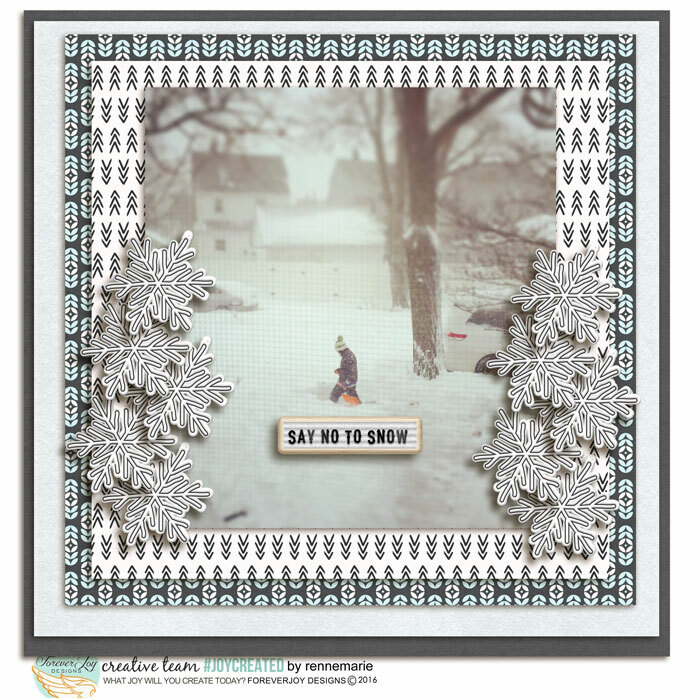 *please note- the layouts show this word art pack combined with items from the page kit.